To make necessary or agreed-upon repairs or to show the apartment to prospective tenants, buyers, mortgage holders, repair persons and contractors. When the tenant has abandoned or surrendered the premises. When the landlord has a court order authorizing entry. In case of an emergency that threatens injury or property damage if not corrected immediately. Write a letter to your landlord asking that illegal entry be stopped. Request a 24-hour written notice for future entries, and state that these visits must be made during normal business hours (weekdays, between 9:00 am and 5:00 pm) unless you consent to other times. Keep a log of all known entries. Talk to neighbors who may have witnessed the entries. Take your landlord to Small Claims Court for breach of the Warranty of Quiet Possession (California Civil Code 1927) that is implied in every lease. Your landlord, or anyone acting for your landlord, cannot verbally or physically harass or threaten you, or call the police to try to force you to leave. Keep a log of what the landlord said or did to you, noting the place and date that each incident took place. Also note the names of witnesses. If the harassment persists, write a letter to the landlord spelling out the offensive behavior. Include dates and times. If the harassment continues, you might consider a Decrease in Services petition at the Rent Board (if you’re under rent control), though you need to frame it as violation of your right to quiet enjoyment; a Small Claims Court action; or consulting an attorney about some other kind of legal action. Call the police immediately at (415) 553-0123. Under Penal Code 418, your landlord is guilty of a misdemeanor and could be arrested. You have a right to regain entry into your apartment, even if you have to break in or call a locksmith. Keep a record of these incidents and write a letter to your landlord stating that you are aware of your rights and that you want the situation stopped without further harassment. Keep a copy of all correspondence. This may be used as evidence in your defense should you ever go to court. If you think your landlord may try to lock you out, carry identification with you that will serve as proof of your residence, (e.g. rent receipts, PG&E bills, drivers license, etc.). You can show these to the police if you are locked out. Get an order from the court to keep the landlord from locking you out again. You will need legal help for this from a lawyer. Under California Civil Code 789.3, you can sue your landlord for punitive damages, plus attorney fees for each day you are locked out of your apartment. In addition, your landlord could be guilty of a misdemeanor and punished by a fine of up $2,000 or six months imprisonment in County jail, or both. Your landlord, or anyone acting for your landlord, may not shut off any of your utilities for the purpose of evicting you. Utilities include water, heat, gas, electricity, elevator service and telephone. If your utilities have been turned off, call the utility company and try to have them turned back on. If that doesn’t work, try the Public Utilities Commission at 703-1170. If it’s a water turnoff, call 551-4767 to get the bill put in your name. Keep a record of these incidents and write a letter to your landlord. Keep a copy of all correspondence. This may be used as evidence in your defense should you ever go to court. 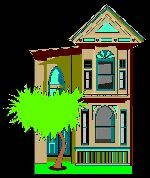 Call the Department of Building Inspections and ask that an inspector come out to your apartment (415-558-6220). File a petition with the Rent Board for a reduction in rent to compensate you for the loss of the utilities. Contact Housing Rights Committee or the Rent Board for advice. Talk with your neighbors. If other tenants in your building have the same problem, you can act together to solve the problem. Remember: If your landlord enters your apartment illegally, he is trespassing. You can call the police.